The effects of the conflict in South Sudan unfortunately created an unsafe environment for the students and staff of the Marial Bai Secondary School. Therefore, Valentino and the Board of VAD made the difficult decision to temporarily suspend operations at Marial Bai Secondary School. Valentino is working tirelessly with the community. It is our hope and intention to reopen the school in early 2019. 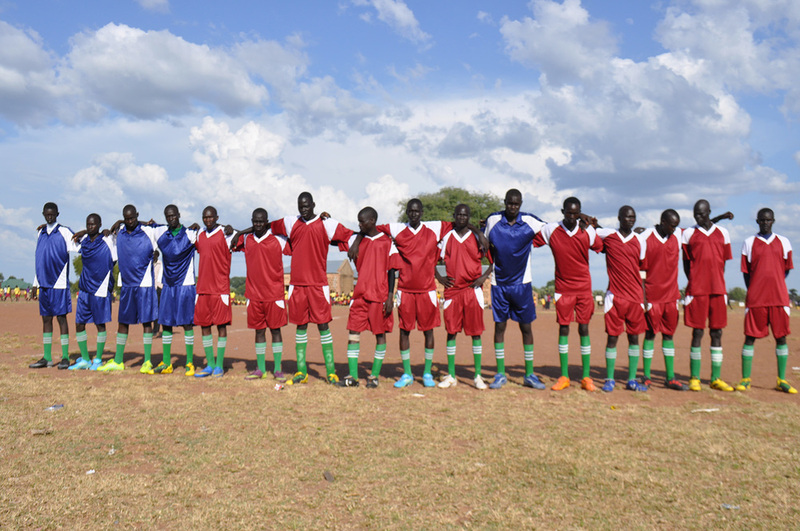 Please read below about the incredible beginnings and results of Marial Bai graduates. We are optimistic about the peace agreement and look forward to resuming classes as soon as we can. The worst effect of the civil war in South Sudan has been on the children, who—after witnessing so many atrocities—now have very limited access to quality education. Girls especially have few opportunities for education. For adults who missed out on their education during the civil war, there are no ways to obtain vocational training. Where schools do exist, they are usually lacking in resources. Many schools consist of just students and a teacher sitting under a tree. Materials and academic supplies—not to mention trained teachers—are scarce. Now, due to the continued unrest within the country, many schools and health facilities have closed, and about 2 million people have been displaced since December 2013. However, the people of South Sudan are committed to rebuilding their communities and supporting their children's education. Marial Bai is a regional trading center that attracts visitors from hundreds of miles around, and Valentino seeks to help make the town a center of learning as well. He believes, along with most South Sudanese, that education plays an extremely important role in rebuilding the region. Improving the educational system in South Sudan is one of the best ways to build local capacity and encourage the creation of viable economic opportunities for the people of South Sudan. 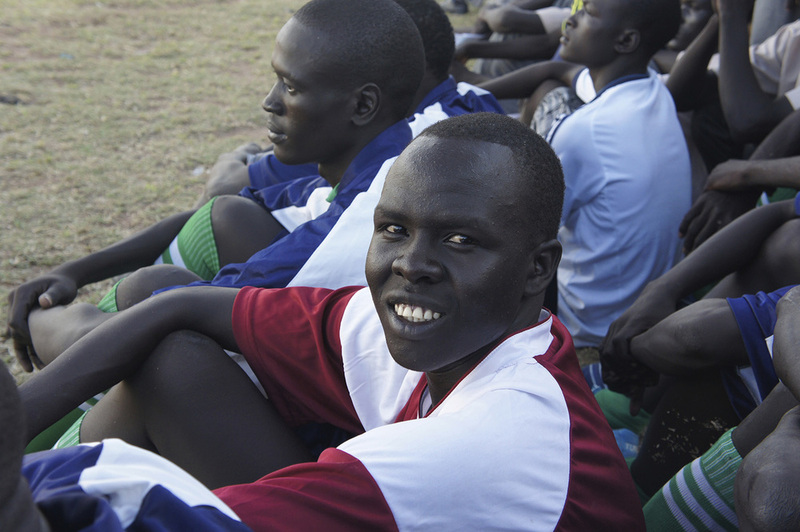 Before the school was completed in 2009, thousands of students across South Sudan applied to enroll. 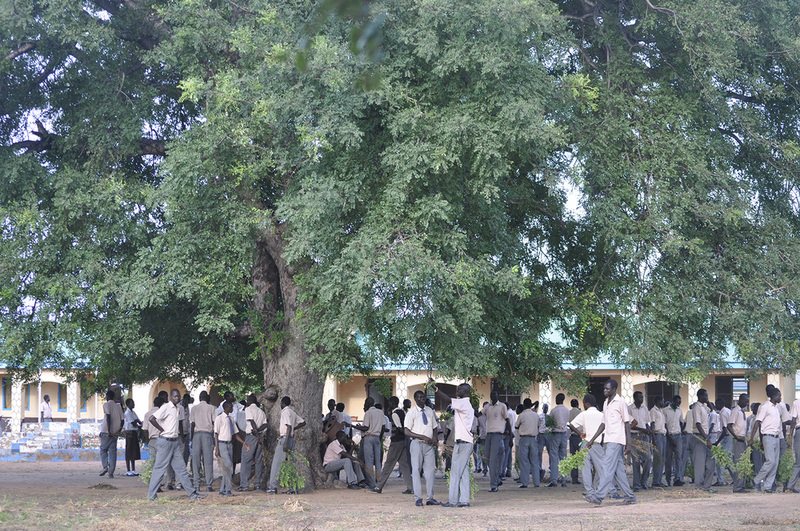 Starting with a pilot class of 85 students, Marial Bai Secondary School (MBSS) has grown to meet the community’s need. Each year the school continues grow. January 2015 marked the beginning of our 7th academic year. As part of the movement to educate the new nation of South Sudan where only 27% of adults are literate and less than 1% of girls graduate high school, the VAD Foundation has changed the lives of hundreds of students at Marial Bai Secondary School (MBSS), their families and their communities. Now, with over 40 secondary schools in South Sudan, MBSS is the highest ranking school that is free for students to attend. As one of the premier education facilities in the country, we recognize the importance of leadership development outside of the classrooms. Weekend and evening programs build community among students and staff, while giving useful life skills to students to use beyond graduation. Student government, drama and debate club, boy scouts and girl guides develop public speaking, problem solving, and critical thinking skills for their future careers. Competitive sports teams like volleyball, basketball and soccer teach teamwork and build relationships across the region with other students striving for academic success. The generosity of our donors make these enrichment programs possible by supporting our wonderful and dedicated teachers who supervise and coach the students to become leaders and servants of the community. Marial Bai Secondary School is at the front of education development in South Sudan and our students leave the campus prepared to be the leaders of tomorrow. Female and Male dormitories housing over 200 students, 350 students enrolled in total. Meals provided for all boarding students and day school students through campus nutrition program. Library offering a gathering hall, study space, and access to books, the first and only one with science textbooks in Northern Bahr el Ghazal state. 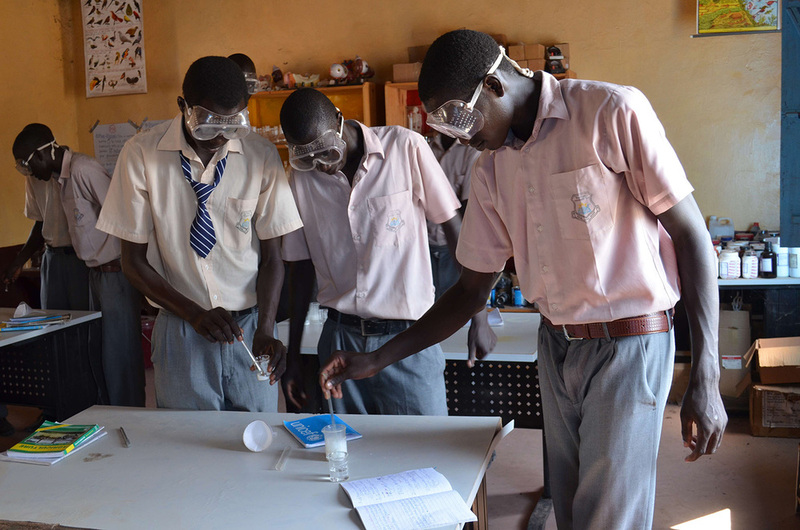 Science lab offering practical science learning, the first and only fully equipped one in Northern Bahr el Ghazal state. Campus farm used to teach students and community members about sustainable agriculture. Subscribe to our newsletter to be informed of all our Marial bai updates!